Wow!!! March sure seems to have slipped by quickly. I have had many blog posts in my mind but haven't found the time to write them up. I am juggling many balls at the moment. 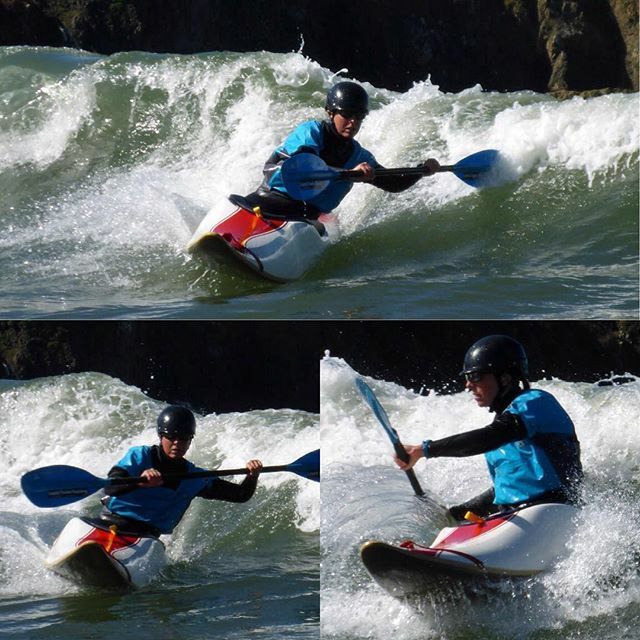 On the business side of things, we are teaching private lessons and gearing up for Liquid Fusion Kayaking's busy summer season. Tasks include CPR certification, wilderness first aid training, renewing insurance policies, communicating with individuals and groups interested in tours and classes, organizing classes, advertising and promotion, website work, organizing equipment, and maintenance and repair. Wilderness First Aid Training with Foster Calm. Jeff and I are also preparing for our annual Spring Run Off Trip. One of our goals for the trip is a wilderness river kayak camping trip. We aren't exactly sure where and when we are going but have a couple of ideas. (please share if you have any recommendations for us). Last year we slipped off to the Owyhee River. 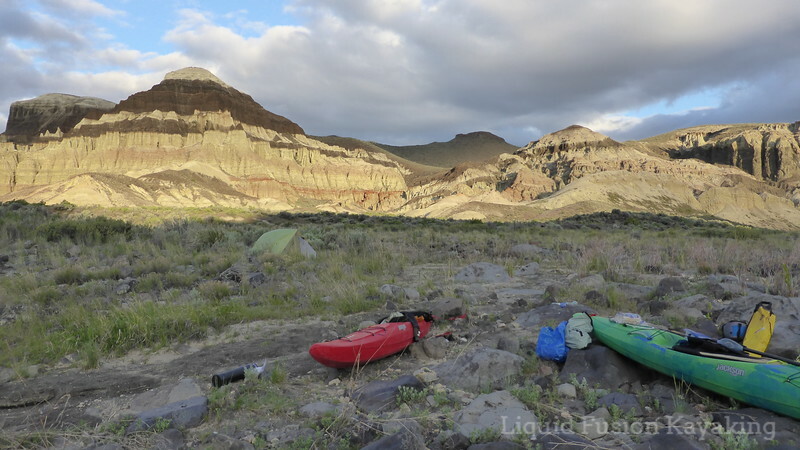 Whitewater kayak camping trip on the Owyhee River. Regardless of where we go, preparations are underway. I have had the dehydrator out and have a couple of tasty new recipes for our trip. Stay tuned for a post on recipes and tips and tricks for multi day kayak camping trips. Dehydrated food for kayak camping trips. Of course, I have to stay in paddling shape and keep my skills up. 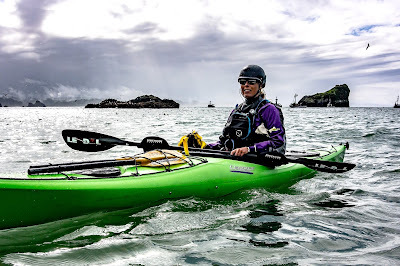 The Storm Gathering USA in early March was a good opportunity for me to knock the rust off my sea kayak skills. This month, I have had the occasional river run. Including a fun run on Mendocino County's Rancheria Creek. Most of my time this winter and spring has been paddling and playing in the surf. Several breaks are close to home so I can get business work done and then slip out for a surf. Some days the waves are good and very surfable. 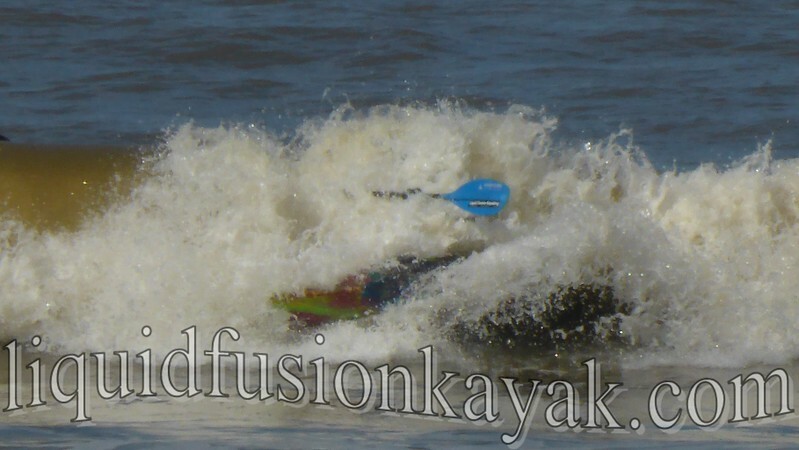 Other days, it is just fun to get out in my Jackson Kayak 2 Fun and bounce around on the foam piles. Stay tuned for some of my dehydrated meal creations and other tips on packing for kayak camping trips.